Andy Forsell is a Producer Resource Specialist with Lockton Companies. He is dedicated to building the Greater Phoenix region as a community. With a focus on helping businesses, Forsell prides himself on bringing an energetic enthusiasm to GPCC and VYP. 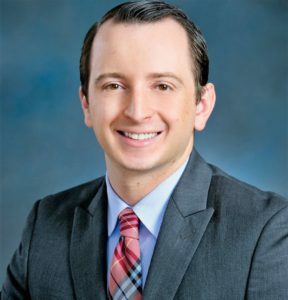 Through his involvement with the GPCC Public Affairs Committee, he brings a unique perspective to the VYP Board and helps represent the case business engagement in community building. Answer: Phoenix has become such a dynamic and diverse city through the hard work of the leaders that have come before us. As the current generation of business and community leaders retire, there will be more opportunities for up and coming young professionals to help shape the direction and outlook of our city’s business, civic and philanthropic future. In particular, the growth of our technology and manufacturing sectors will create opportunities for entrepreneurs, and other professionals, to learn from established companies and improve upon their models. Answer: I’ve benefited personally and professionally from the outstanding mentors that I’ve been fortunate enough to cross paths with early in my career. They have helped shape my perspective on the outsized role groups like VYP can have within a community when the individual members are empowered to take action on causes they care about. I hope that the experience I have working with a diverse set of business and community stakeholders will help us identify and focus on initiatives that can have a meaningful and lasting impact.